The famed horror franchise returns to its roots with the best entry since the original. I’ll be honest and admit I’m not the biggest fan of the Halloween film franchise, but I do have memories of watching the infamous Michael Myers stabbing and hacking people to death from my horror movie days of the 80’s. After a few letdown sequels and so-so remakes/reboots, we’ve finally have a true sequel to John Carpenter’s 1978 classic that’s also titled Halloween (now we get to confuse this film like with The Thing from 1982 and 2011). If you’re into old-school slasher flicks that take their time to set up the thrills, you’ll find your chills here and then some. 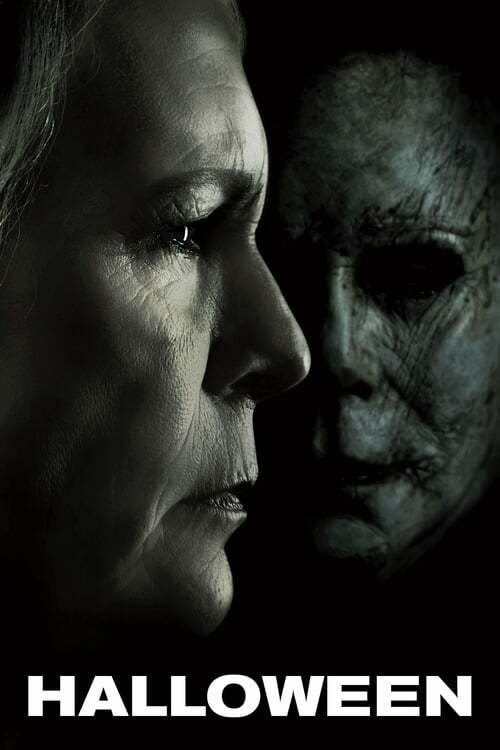 Director David Gordon Green teamed with Danny McBride (yes, that Danny McBride from Pineapple Express and Eastbound and Down, etc) to write this film that continues to follow the life of Laurie Strode (Jamie Lee Curtis) who is now older but still more than ready for Michael Myers (James Jude Courtney) should he ever escape the mental institution he’s placed in. This obsession has driven her daughter Karen (Judy Greer) away as she trained her as a young girl with guns, traps, and more to also be ready should Myers return. The only person that cares for Laurie is her granddaughter Allyson (Andi Matichak) who refuses to give up on her, despite everyone thinking Strode is the town loon. After some podcasters decide to dig into the infamous Michael Myers murders and visit him at the mental institution carrying his famous mask, it isn’t long before a chain of events lead to him escaping and resuming his killing spree as he goes after Laurie and her family. Armed with a ton of guns and traps, it’s up to Laurie and her family to band together, along with some help from local sheriff Frank Hawkins (Will Patton), to take down Michael once and for all…if they can. It takes a bit for everything to fall into place, but I did find myself enjoying the thrills this film provided. What really got to me is how Myers goes around killing people in sickening ways after watching and stalking them for a while, all without giving it a second thought. Just seeing how James Jude Courtney does this is a scary treat in itself, and will really make you think Myers is some sort of monster instead of a person. It was also touching to see how the horror from the original movie has taken its toll on Laurie, and how her granddaughter tries to help her through it however she can. Of course fans will also enjoy how badass Jamie Lee Curtis still is after all these years, with Sigourney Weaver being the only other one that’s as awesome in this regard. In the 4K HDR release I was sent, the visuals and audio were clear and clean. Details such as how worn and aged Michael’s mask is, to every knife stab and gunshot from the high definition DTS audio will have you hiding behind the couch or peeking over it from time to time. There’s also a few short but cool special features on the disc, such as “Back in Haddonfield” that has some of the cast and crew discussing the characters, the story, and more. “The Legacy of Halloween” is a fun conversation featuring Jamie Lee Curtis, John Carpenter, director David Gordon Green and Jason Blum of Blumhouse fame talking about how the franchise still continues to hold up decades later and the impact it has on the horror genre. “The Sound of Fear” has John Carpenter, his son Cody and composer Daniel Davies going over the score to the film and how they captured the classic sound of the original with a modern day twist. “The Original Scream Queen” has some of the cast and crew praising Jamie Lee Curtis performances, her character’s evolution over the years, and how she’s paved the way for other leading ladies in horror films. “Journey of the Mask” goes into how the infamous mask was made even creepier for the movie thanks to aging it to make it worn and weathered looking, and finally there’s some deleted scenes that don’t really add nor take away from the final cut. Those who enjoy classic slasher flicks will get their fix from Halloween, as it manages to capture the look, sound, and feel of the classics from the late 70’s and early 80’s while still looking and sounding great in 4K UHD with HDR color. So light your jack o’ lantern, grab some popcorn, wrap up in a blanket on the couch, and get ready for some scary good fun with this one.